Shanghai-Nanjing-Bejing in 9 days for approximately 50,000 pesos. All in! I think that's quite cheap given the fact that we didn't starve õurselves just to save on expenses. If you are gonna ask me how this is possible, simple --- The Subway. In all three cities, we got ourselves familiar with the subway and used them extensively. Starting in Shanghai which I would say has an extensive subway system. 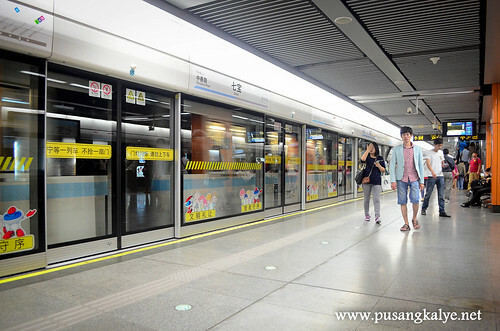 Shanghai Metro One-Day Pass is designed for passengers who need ro rode Shanghai's Metro system many times in a day. It's bestbfor those running around town and visiting attractions. It's a passenger friendly choice. The clock starts when passengers swipe the card at any of the stations and the card can be swiped an infinite number of times. After the 24-hour mark is reached, the card is invalidated. Also available for those who are staying in Shanghai for more than two days, the Metro Shanghai Three-day Pass is perfect for you. Works in the same manner with the one day pass except that this expires 72 hours after your first swipe. 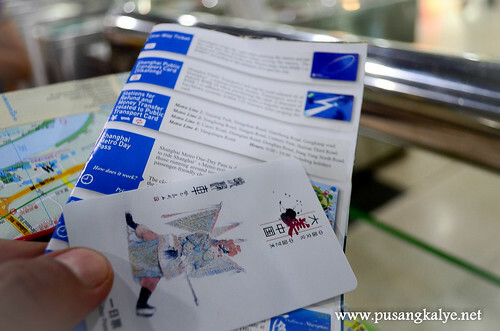 There are a whole range of options depending on your schedule and pace of travel like the Shanghai City Tour Card, Public Transport Card and One-way ticket. Wanna maximize your tour around Shanghai without ripping off your wallet? I suggest you get familiar with their extensive and efficient subway system and avail of SHANGHAI METRO DAY PASS. AirAsia Zest which flies daily to Pudong International Airport. by logging in to http://www.airasia.com/ph/en/home.page . may i know how much is your total damage if going from shanghai to beijing? "Shanghai-Nanjing-Bejing in 9 days for approximately 50,000 pesos. " That's not cheap. That's a lot, Anton!